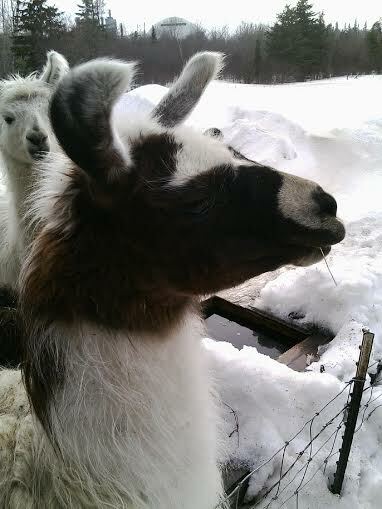 Llamas – llama llama llama!! 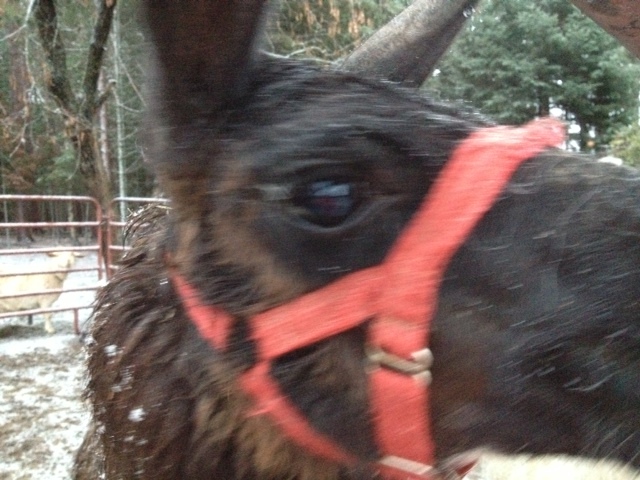 The first question everyone asks when they hear I have llamas is “do they spit?”. Valid question and the answer is – it totally depends on what you are doing to them. 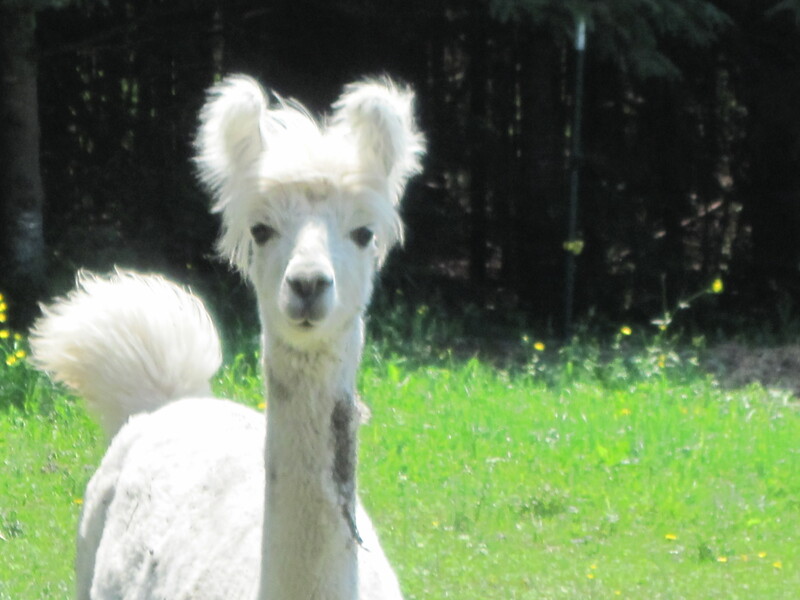 You can tell by llamas (and alpacas) ears, how annoying they are finding their current circumstances. And I have discovered that there are varying degrees and intensities of “spit”. This is my “look out – you’re gonna get it” look. Before any spitting happens there is a warning look. If you are paying attention and don’t have to continue doing what you are doing, you won’t get spit on. After the warning look, and if you, the assailant, hasn’t backed off, there is a warning spit. This is mostly whatever is in their mouth at the moment and it’s usually directed over the offender’s ( your) head. Most often they do this to each other over food. 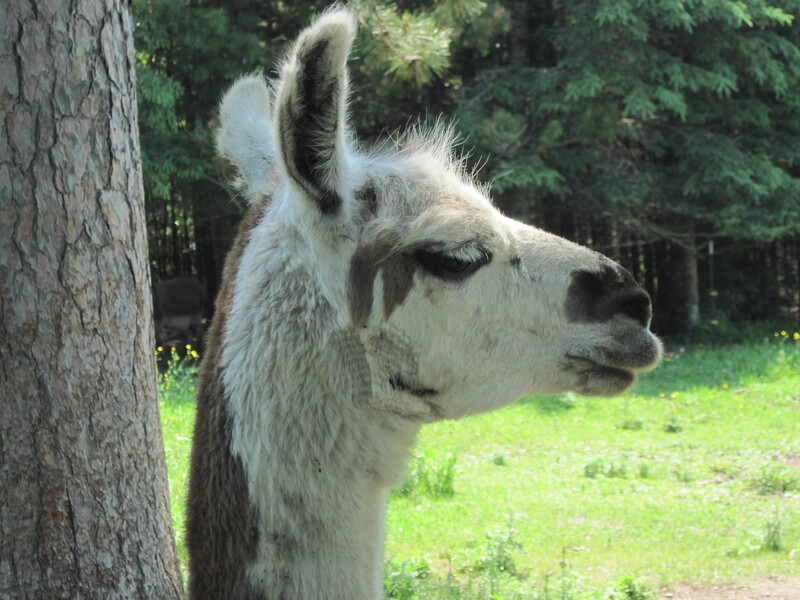 Llamas don’t have much for defense mechanisms – they can run away or they can spit. The “I’m really ticked off” or “I’m absolutely terrified” spit is the stuff you need to look out for. This is the nastiest, most vile- smelling yuk ever! It is projectile vomit right from the bottom of their third stomach. It shouldn’t even be called “spit” if you ask me. A different “s” word comes to mind and more closely describes that stuff. The only time I have gotten this is when I am doing something really unpleasant or scary. Shots, shearing, sometimes haltering…. anything that involves cornering or tackling has landed me in the crosshairs. 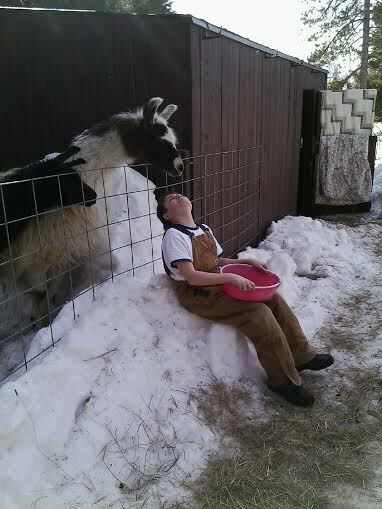 Moral of the story: Don’t harass or annoy the llamas and you’ll be fine! 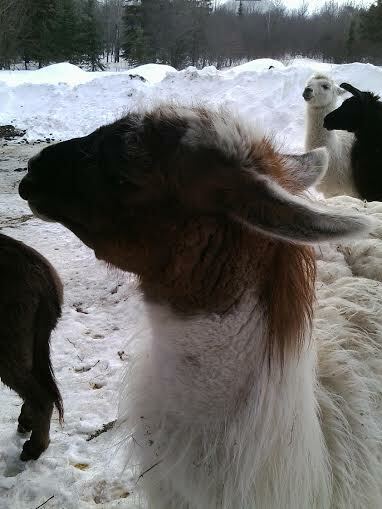 Spitting aside, I find that the llamas are curious, inquisitive and a whole lot of fun to have around! 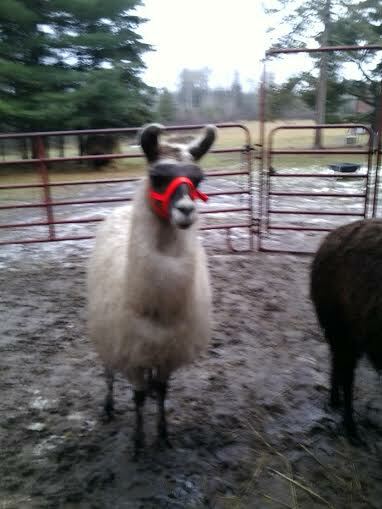 And just for fun, here is the llama song we sing ALL. THE. TIME.